Could you respond to government consultations? Our online hub for advertisers and members, showcasing the latest jobs, events, training and more. If you’ve been around Scotland in the last few weeks you may have seen one of the posters from the new One Scotland ​‘Dear Haters’ anti-hate crime campaign funded by the Scottish Government and backed by Police Scotland. If you’ve seen one, you won’t forget it: they are punchy and hard-hitting, starting with phrases like ​‘Dear Racists’ and signing off on behalf of the whole of Scotland with the phrase ​‘Yours, Scotland’. The posters are designed around each of the protected characteristics, including race, disability and, of course, faith. And each of them is targeted (in theory) at those who would seek to express hatred towards a particular group. The issue of hatred is a serious one. No one should be subject to bullying, assault or harassment for any reason, including their possession of any of these protected characteristics. As Christians, we believe that all people are created equally in the image of God, with inherent dignity, and we live by Jesus’ command to love our neighbour. Hatred of a person that leads to any crime against them goes directly against this biblical teaching and the example of Jesus, who was full of grace and truth. As the Evangelical Alliance, we recognise the diversity within our nation and the challenges that can be caused by hatred, to individuals and within groups. It’s why having a respectful, plural public square, where all can bring their views and express them with respect, is vital, even when there are profound disagreements. The Ashers case last week highlighted that it’s a fundamental principle to be allowed to express your views and not to be compelled to express views that you don’t hold. No one pretends this is easy, but it’s essential that all participants in our public conversation have this freedom. This is what true tolerance is. It’s also what makes the issue of hate complicated: one person’s disagreement with someone’s views or lifestyle (such as being a Christian) can be seen by another as hate. Some even use the accusation of hate itself as justification for hostility to those of different faiths. There’s no definition given here of either bigot or religious hate, and it’s almost impossible not to read this on its own as targeting people of faith rather than protecting them as the campaign is claiming to do. ​“End of sermon” only adds to this picture, and signing off ​“Yours, Scotland” makes it seem like those who may be feeling vulnerable by this language are not a welcome part of society, while bypassing those who actually harbour prejudice and hatred. It is an astonishing poster and does exactly the opposite of what is intended. In One Scotland’s defence, a longer version of the poster exists which focuses more explicitly on hatred directed at religious minorities, such as the abuse some receive for religious dress. However, this does not change the fact that the shorter poster is ambiguous and unhelpful. At best the language is clumsy, and at worst it looks sinister in a campaign that is supposed to be about safety, protection and celebrating diversity. So, as the Evangelical Alliance, we’ve been raising our concerns about this directly with the Scottish government. We’ve met with officials and have contacted the government ministers responsible, offering to work constructively with them to try and avoid this scenario happening again. We do this in the context of our broader engagement across a range of issues and our desire to serve our communities for the wider benefit of society. We would also encourage you, if you live in Scotland, to contact your own MSP about this issue. Most MSPs want to protect their constituents from undue concern, fear or alarm, and they certainly don’t want to antagonise them. But, unless you contact them, they may well be unaware of the potential effects of the campaign. So, please get in touch with them and raise your own concerns. Find your MSPs on this page. Finally, do pray for Scotland. Pray that we will become a nation where true tolerance flourishes, where discussions and debates are held with gentleness and respect, and where in a place of freedom the gospel can be heard. Kieran joined the Evangelical Alliance Scotland team in 2012. Prior to this he worked for MSPs at the Scottish parliament for three years, with spells in both Edinburgh and Inverness. Before this he spent a number of years working in youth and community work in the housing estates of his native Glasgow. 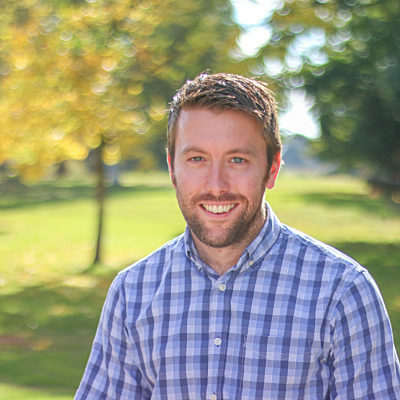 Kieran helps the Evangelical Alliance connect with politicians in Holyrood and local government, connects with national and local media, and also provides support and encouragement to churches, organisations and individual Christians trying to engage with wider Scottish society. You are already subscribed to our mailing list. Keeping your data secure is very important to us. By providing your personal details you agree to allow the Evangelical Alliance to contact you either on the basis of the consents you have given us or for our Legitimate Interests in accordance with current data protection regulations. We will never make your personal data available for marketing purposes to external individuals or organisations. For more information email info@eauk.org. You will open in a new tab. Your membership number is a 6-digit number that you can find your membership number at the top right hand corner of any correspondence we have sent to you, or at the bottom of an email you have received from us. If you don't have access to your number, call our membership team on 020 7520 3830 or email membership@eauk.org.